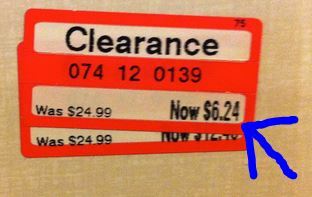 Target offers great deals & huge savings to the savvy shopper who can decipher their secret code right before our eyes. Lets dive in ! If you find items that havent hit rock bottom yet you might want to wait for these specific price change days to maximize your savings !! YOU ARE LIMITED TO $75 IN RETURNS WITHOUT A RECEIPT PER YEAR, DONT LOSE THOSE THINGS!! USE THE TARGET REDCARD CREDIT CARD & SAVE AN ADDITIONAL 5% ON YOUR TOTAL PURCHASE, PAY IT OFF EACH MONTH AND INCUR NO FEES!! YOU CAN COMBINE TARGET COUPONS WITH MANUFACTURER COUPONS TO DOUBLE STACK THE DEALS ON ANY DAY OF THE WEEK. Hopefully these great Target Hacks will get you the greatest savings possible and you will be able to add these savings to your dreams!